Orders may be placed by mail or telephone. Personal checks are accepted. Postage and shipping will be added to each order. (920) 443-3008 from 10:00 a.m. to 4:00 p.m. 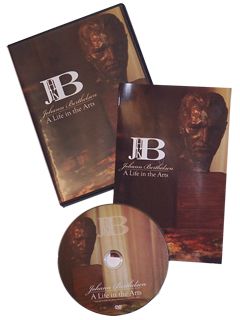 In accordance with our goal of bringing the enjoyment of the art of Johann Berthelsen to an ever-increasing public, the Conservancy is pleased to offer a selection of quality items. Fifth Avenue and St. Patrick’s Cathedral, St. James Church Madison Avenue. Each year, The Johann Berthelsen Conservancy, LLC, will issue a special collector’s edition print. 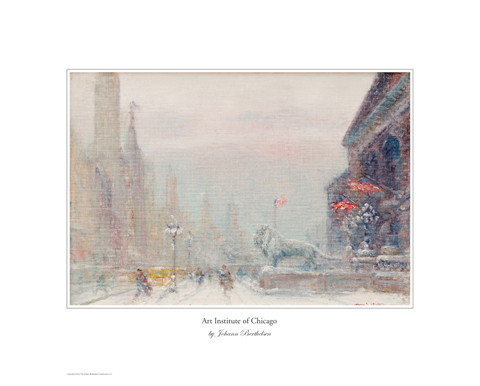 Because the City of Chicago figured prominently in Johann Berthelsen’s early life, our first offering is a rare view of the Art Institute of Chicago and Michigan Avenue commissioned circa 1960 by an Illinois collector. 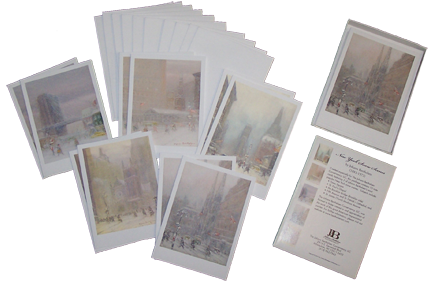 Like his New York snow scenes, the painting bursts with the bustle and vigor of the Windy City on a snow-swept day. Measuring 16" x 20" overall, the print is furnished on acid-free paper and reproduced with true fidelity to the original colors and details. The first edition is limited to 500 copies, of which 200 will be signed and numbered by Mr. Lee Berthelsen. Prints will be shipped rolled in a protective tube. will be included with each signed numbered print.